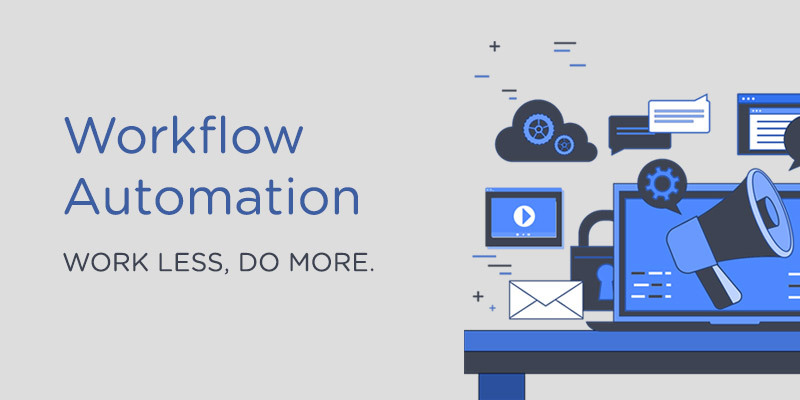 With all the data, tasks and processes that are managed internally at your company, there can be a lot to account for when it comes to your workflow automation strategy. The first item on the list that needs to be addressed is how you manage and store that internal data. If you’re still saving excel sheets and managing all your tasks based on emails arriving in your inbox, we’ve got some work to do. Next we determine how and what other platforms that data needs to interact with so we can make sure your new data center checks all the boxes. The goal is to make sure you’re maintaining one, and only one, centralized data-set so you can be assured when you’re accessing that data, it’s up-to-date and it carries a log showing you when and who last altered it. Finding platforms to integrate with your data isn’t hard but making sure it does so correctly and accounts for a multitude of scenarios is. This process tends to be the most time-intensive as there are a lot of moving parts throughout the process and it generally requires multiple revisions post-launch…but once it’s ironed out you’ll wonder why you didn’t do it years ago. The biggest advantage to optimizing your internal/external processes and workflows isn’t just the time and money you save, which will surely pay for itself many times over, but it’s the ability to free up yourself and your employees to get back to working on items that further the company from an ROI standpoint rather than being bogged down with mundane tasks. If you’d like to explore the world of workflow automation and how it could help your business, shoot us an email, we’d be happy to help!